Achieve professional results; no special skills required. 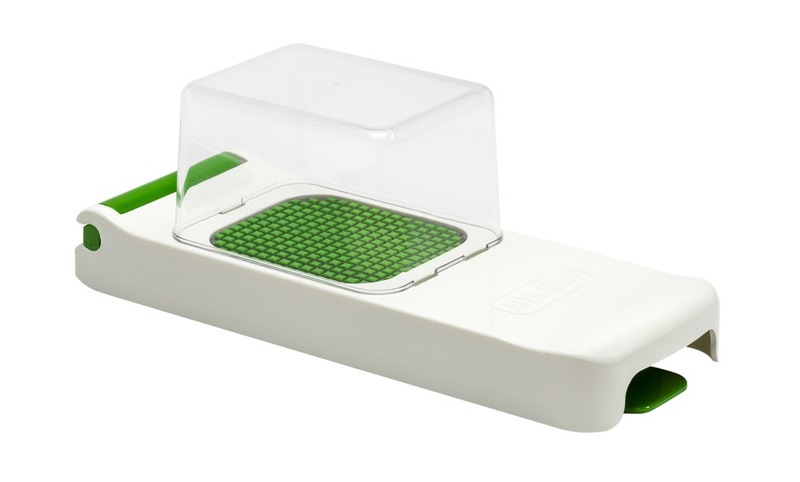 This chopper’s cutting guides gives perfectly straight cuts every single time you use it in one easy stroke. The Collector cleverly keeps what is chopped in one spot. The number one since 2001! 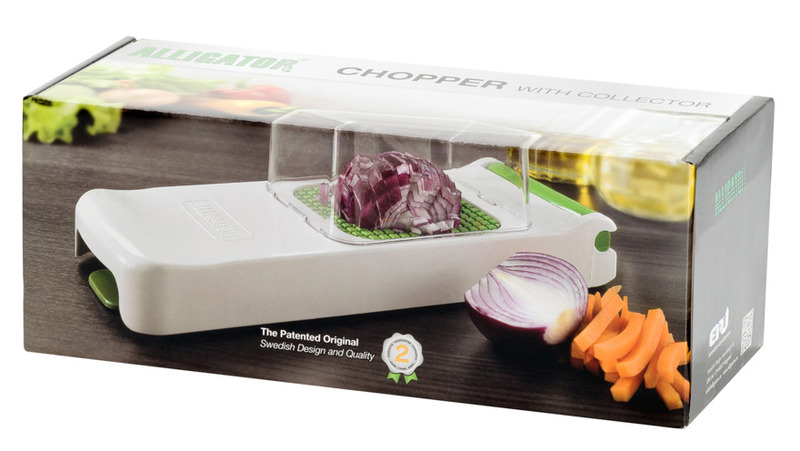 The Alligator Chopper cuts sticks and cubes measuring 6 x 6 mm and is perfect for chopping onions, fruit and vegetables, for dishes such as french fries and Julienne. 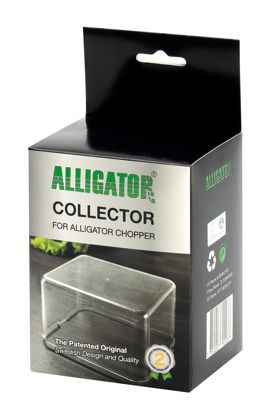 The Alligator Chopper is delivered with a collector that cleverly collects what you have chopped. (6mm x 6mm x 5–6 cm). It is also the starting point for the small dice. Referred to as the allumette when dealing with potatoes, and sometimes also called the "matchstick cut" (which is the translation of "allumette" from French), the julienne measures approximately 1/8 inch × 1/8 inch × 1-2 inches (3mm × 3mm × 3–5 cm). It is also the starting point for the brunoise cut. The fine julienne measures approximately 1/16 inch × 1/16 inch × 1-2 inches (1.5mm × 1.5mm × 3–5 cm), and is the starting point for the fine brunoise cut. Collector, collection box for Alligator Chopper. 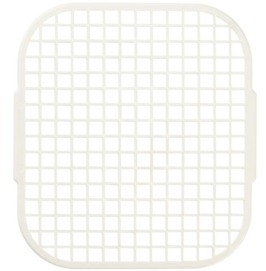 Chipper, dicer attachment 12 x 12 mm for Alligator Chopper & DIcer.